It should be no surprise to any of our readers that Chrissy and I LOVE dainty gold pieces of jewelry. From rings, to a fully stacked arm party, our favorite is layering necklaces. Delicate gold necklaces, with letters, or stones or just plain we are always scooping up different lengths to make our necklace game strong. I like to start with one staple necklace and then layer around that one. This staple piece is my all time favorite Dana Rebecca's "lauren joy" necklace. 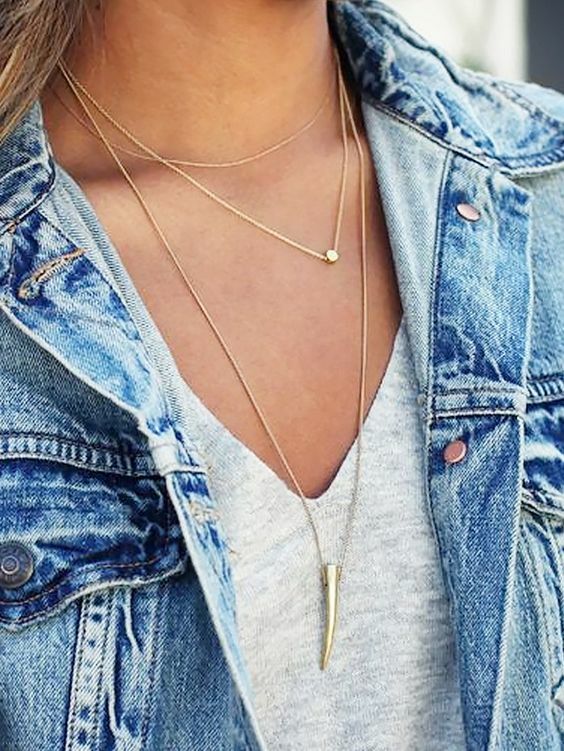 Shop below for our all time favorite necklaces that we love to layer!